A few months ago, Romeo Models started to produce full scene kits including the figures, base and the accessories inside the box. The first kit of the series was Kavas and Belly Dancer, which the dancer looks inspired by an oil painting of famous artist Jean Leon Gerome. The second kit of the series is again inspired by the same artist’s another painting Bashibazouk Chieftain. RM-75sc02 Ottoman Bashibazouk Chieftain 1881 includes a 75 mm white metal figure posed to sit on a Ottoman style sofa with narghile (waterpipe) and resin and white metal scenery details. The term bashi-bazouk derives from the Turkish “başibozuk” which means: crazy head. This word was used to describe some irregular troops of the Ottoman army in the 18th century. These troopers were recruited among nomads, homeless, criminals, foreign mercenaries and volunteers. The majority of them did not have Ottoman origins but came from Balkan countries conquered by the Ottomans. Bashi-Bazouk were brutal and undisciplined, they were armed and maintained by the government but did not receive any salary. They were not allowed to display any insignia or flags. They could fight either mounted or on foot and they were experts skirmishers. They always walked in front of the regular army with the duty of being the first to engage the enemy and cause as much damage as possible to the point of sacrificing their own lives. During peacetime they did not live on garrison as regular troops did but encamped in the suburbs of Constantinople and spent the time dancing, gambling and getting drunk. Bashi-Bazouk did not wear a standardized uniform. They wore cloth or leather vests over silk skirts with wide sleeves and baggy trousers. The chieftains wore white pleated skirts as traditionally still in use today by the Greek army. Knee-high leggings and leather shoes were typical. 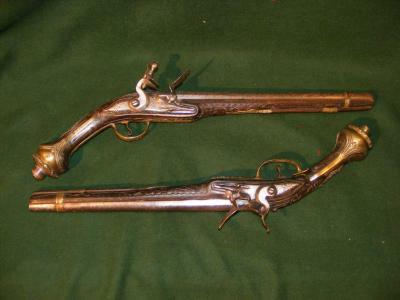 They were usually armed with two pistols and a short sword kept in place by a wide leather belt, as well as a front loading style rifle. The kit comes in 125 x 85 x 30 mm.standard Romeo Models light blue cardboard box. The front cover shows photos of the scene painted by Isaac Jaramillo from 3 different angles and can serve as a basic painting guide. Inside the box, there is a small certificate in English and Italian with the product code that the modeler can ask for the missing or damaged parts from the company. Parts are packed carefully between two slabs of thick white polyfoam and the figure base parts are placed under the polyfoam not to damage the figure parts. Bashibazouk figure is sculpted by Sergey Lupanov and comes in 8 white metal parts. The parts are very crisp and clean. There will be no need for a serious cleanwork , a brushing process with a metal brush will make them ready for priming. Torso with head ; Facial details, whiskers, moustache and head gear are well defined. He wears an open front shirt and a waist length, open front leather vest with false sleeves (given as seperate parts). He carries a wide cloth sash on his waist which is also used as a weapon belt. The skirt and the weapons will be attached to the front part of torso. Skirt ; Balkan origined bashibazouk chieftains wore white color pleated skirts like Fustanella worn as a traditional garment in Greece, Albania and Macedonia. It makes a nice fit to the torso part of the figure. False sleeves of the jacket - 2 parts ; right and left false sleeves of the vest are given as seperate parts. Left arm ; Posed to hold the mouth piece of narghile. Right arm ; Posed to put his hand on the back rail of sofa. Cloth folds and wide sleeves are well defined on the arms. Weapons ; He carries two flintlock style Ottoman percussion pistoles with conical butts and a dagger with a big pommel inserted to his cloth belt. Right foot ; Figure posed to sit cross legged and legs are represented under the skirt. The only visible part of legs – right foot is given as a seperate part and will be attached to the hole on the skirt showing the toes outside. Figure base is made up of 3 resin parts and a metal part. Parts need no cleaning and they fit well with the holes and pins on the edges. Figure is posed sitting on a sofa with a narghile and his heavy great coat is laid out on his back. The sofa is given in 4 white metal parts. Right part of sofa – this part is really hard to locate, note that it will be covered with greatcoat. Great coat is represented as laid on the sofa and given in 3 parts. Greatcoat ; the woolen texture inside is defined well. Front part of greatcoat : Nicely represented with buttons. It will be glued to the front part of the sofa. Arm of the greatcoat : It will be assembled to the right end of sofa. Please see boxart for the correct fit of these part when building. The kit includes 2 alternative narghiles, one of them in one piece and the other comes in 3 parts. Plastic tube for the narghile. Though the kit looks a little complex to build at first look, it is not a problem as the parts are easy to locate by the boxart and they fit very well. I am sure it will be a pleasure to paint and display this especially for the Orienatal scenery fans. Highs: Great subject, very nice sculpt and high quality casting.All in one kit, no need to think for a base or details. Good fit on parts. Lows: The kit is a little complex and some parts -for example, right back part of the sofa is invisible on the boxart and can be hard to locate. An assembly guide could be helpful. Verdict: No doubt it will be a very happy built and paintwork for all modelers. The final scene looks like a museum piece.